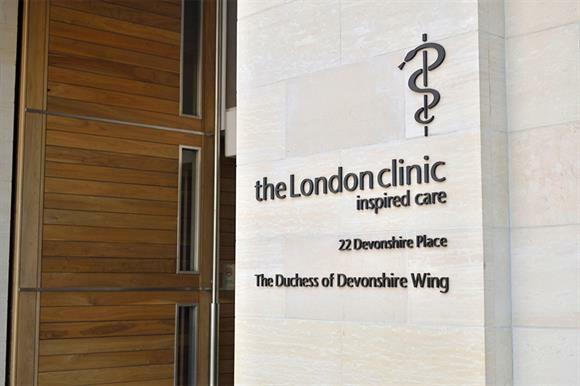 The pension deficit of the private health charity the London Clinic grew to £43.7m last year, its latest accounts show. In its accounts for the year to 31 December 2016, which were published on the Companies House website last week, the charity said it made a £20.4m loss on its defined pension scheme over the course of the year. This year’s deficit is £10m more than in any of the previous four years. The charity has an overall defined benefit obligation of £124.2m, almost £26m more than in 2015, the accounts show. The accounts say that the charity closed its defined benefit pension scheme to future accrual in 2015, and has a plan in place to eliminate its deficit by 31 March 2023. The charity also made a £4.9m loss in 2016, which the accounts say was due to a £5.5m "impairment" on previously set-out design and development fees for the charity’s hospital development plans. Overall income as shown in the accounts was £144.4m, compared with £141.8m the previous year, and spending rose from £136.3m in 2015 to £149.3m last year. The group has almost £167.3m in reserves, according to the accounts. The accounts also show that the top earner at the charity, who is not identified, was paid between £550,001 and £560,000 in 2016. The charity was fourth in Third Sector's 2017 study of the highest salaries in the voluntary sector, which were based on the charity's 2015 accounts and showed the top earner had an annual salary of between £540,000 and £550,000. The 2016 accounts show a total of 99 people at the charity earned more than £60,000 during the year and 11 of those were paid more than £100,000. A spokesman for the charity said: "In 2016, we saw revenue growth with an overall increase of 1.8 per cent and we recorded a patient satisfaction score of 97 per cent which we are proud of. As a charity, we operate differently to other private hospitals. "With no shareholders, we take a long-term view of our investments, channelling our income into improving hospital facilities and new technologies that benefit our patients, consultants and employees." The spokesman also said that during 2016, the hospital "continued our ambitious investment programme" and opened a new specialist intensive care and digestive diseases unit, as well as investing heavily in end-of-life care for terminally-ill patients and on IT infrastructure projects.